It can cause rashes in some people. Prolonged use can increase photosensitivity. Avoid if pregnant as the herb is a uterine stimulant. Its botanical name is derived from the Greek hero best known for his vulnerable heel. Achilles used it to treat his soldiers who were wounded in battle. It was also known as herba militaris because it was used to staunch war wounds. Medieval physicians mixed the herb with grease to make a poultice for wounds that had been “made with iron”, that is, made by spears, for example. Druids used it to divine seasonal changes, and the Chinese used it to foretell the future. The Aztecs used the plant in poultices for sores. They made teas to cure coughs, diarrhea, and other digestive problems. It was also one of the herbs used to increase contractions during childbirth; and, when taken in large doses, it is used as a purge after overeating. The Aztec name (tlalquequetzal) includes the suffix for the earth (tla) and for plumes (quetzal”), referring to its feathery leaves. Yarrow was used by many tribes, including the Cheyenne, Menominee, Lakota, Assiniboin, Gros Ventre, and Okanagan to treat catarrh, coughs, colds, and fever effectively. At times, the use of an herb may seem contradictory, and such is the case with yarrow. The Iroquois drank a tea made from the root to treat diarrhea, while the Okanagan combined the root with other herbs to treat constipation. 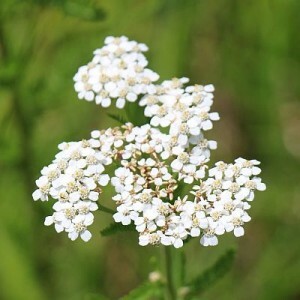 Many tribes have used yarrow topically in compresses to treat bleeding, as washes for such skin irritations as burns, eczema, hives, and poison ivy, as well as for poultices to treat wounds. The Cheyenne called the plant “i ha i se e yo” meaning cough medicine. The Osage name is “wetsaoindse egon” or rattlesnake’s tail-like. The Lakota called it cedar weed (xante canxlogan) and wound medicine (taopi pexuta), while the Winnebago’s name referred to the appearance of the leaf — “hank-sintsh” or woodchuck’s tail. The Cheyenne used the plant to stimulate sweating, to break a fever, and to alleviate cold symptoms. The Blackfeet made a tea and used it as a diuretic or rubbed on aflicted parts of the skin. The Lakotas used it to treat wounds, while the Crows chewed and held it in the mouth to cure a toothache. The Crows also made poultices from the crushed leaves for burns, boils, or open sores. They added goose fat to make a salve. The Assiniboins and Gros Ventres used a tea to treat colds and stomach complaints while poultices were applied to wounds. The Winnebagos placed a wad of leaves in the ear to cure earaches. Over 120 compounds from the plant have been identified, with each acting synergistically to make a whole and varied medicine. For example, the volatile oils are markedly anti-inflammatory and antiallergenic. The flavonoids are antispasmodic. The alkaloids have the capacity to stop bleeding internally and externally. The coumarins act as blood thinners, while the tannins are astringent; and the salicylic aspirin is an anti-inflammatory and analgesic. It is mainly the aerial parts that are used medicinally, although the root is sometimes used. Many herbalists, though, leave the root to form new plants for another year. 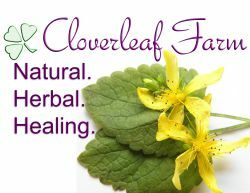 Fresh leaves are chewed to ease toothache pain and are also excellent for bleeding. Placed on moderate-sized to small cuts, they readily stimulate clotting. Infusions relieve digestive upsets and tone the stomach, especially in cases of hiatal hernia where the stomach has lost tone and is protruding up through the esophagus or a tear in the muscle wall. It is more effective for settling the stomach if used along with such other herbs as betony and mint. For colds, mix equal parts of yarrow, peppermint, and elderflower. Hot infusions of yarrow will stimulate perspiration. Yarrow does lower the blood pressure marginally, but, to counter this, use with passion flower. A tea or tincture is also excellent for decreasing menstruation during a particularly strong flow. It is also used to regulate the menstrual cycle and ease pain. The essential oil is also used for congestion or massaged into inflamed joints. The herb can be used in sitz baths to ease hemorrhoids or gynecological complaints. A poultice or compress can be applied to scrapes, cuts, or bruises. Used fresh in boiling water, the steam can be inhaled to treat hay fever and mild asthma or bronchitis. Ointments have long been used for wounds and skin sores.